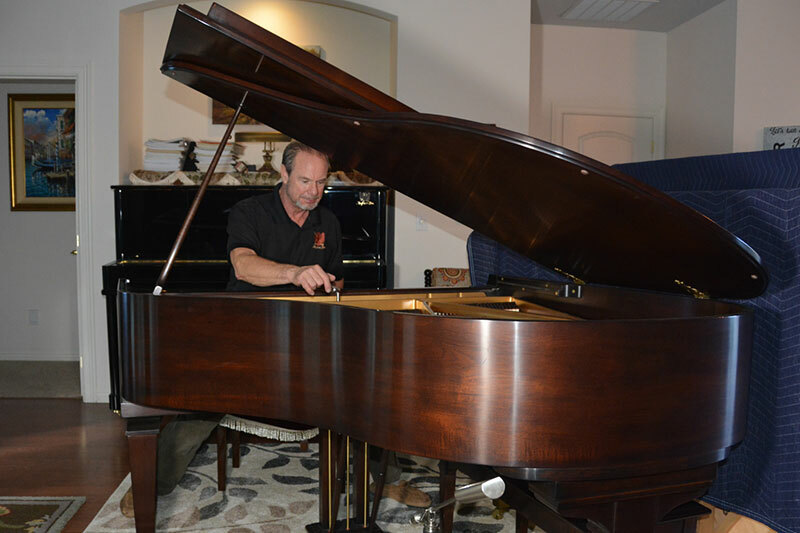 Ira T. Langlois is a fifth-generation piano tuner and one of the best in the industry. Ira is a registered member of the Piano Technicians Guild (RPT -Registered Piano Tuner). He "hears" the harmonics a piano should create when allowed to perform at its best. It's a fact of life - piano's go out of tune. Constant changes in the atmosphere directly affect the wood in the soundboard, pin-block and bridges. When its humid components swell and when its dry they shrink; combine that with the tension pulling the piano together and what you get is strings stretching and contracting causing your piano to go out of tune. Whether you play your piano daily or just a few times a year, tuning is the best preventive maintenance you can do to ensure that your piano lasts a lifetime. Our tuning service extends from Seattle to Tacoma and as far north as Port Angles including the following counties; King, Pierce, Jefferson, Mason, Kitsap and Clallam. If you would like more information or would like to make an appointment to have your piano tuned please don't hesitate to contact us at 800 498-1858. We'd be happy to help.